It’s amazing how the quality and appearance of one’s feet can impact self-esteem. Women especially take pride in their feet and toes, hence the massive market for spa services geared towards the feet. Toe nail polish is just one small part of the equation. Having pretty, soft and smooth feet (especially during sandal weather) is often the finishing touch to feeling put together and feminine. Hard and heavy calluses do not fit this bill! Not to mention they can be incredibly painful. Calluses are in fact layers of compacted and dead skin cells. They ultimately form, believe it or not, to protect the skin from damage or injury. When calluses are left untreated, they can burn, throb and crack. So aside from aesthetics, there are a lot of reasons to treat calluses. Of course they can be treated the old-fashioned way with pumice stones or manual foot files, but electric callus removers have entered the market making callus removal at home much easier. There are a lot of electric callus removers on the market designed for home use. Here we have narrowed the field down to three callus removers that we think will appeal to a broad consumer base. In this review, we reveal the overall best callus remover, the best callus remover for the money, and the best callus remover on a budget. Realistically, each of these represents a reasonable option so this review should set you off on the right path. This is considered by us the best callus remover on the market! The Amopé foot file is the perfect addition to your home pedicure set. 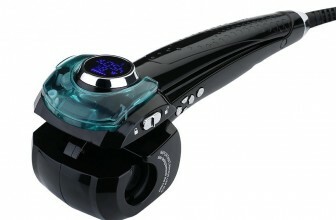 Its diamond crystal roller technology provides the perfect filing surface to get rid of tough calluses and rough spots. Plus we love its ergonomic design. It looks sleek and is comfortable to use. We also like the fact that it is a battery-powered. Plus the manufacturers have included 4-AA batteries so you can be off to the races right away. It’s simple and easy to use and comes with a handy roller cover so you can store the file in a sanitary way. It’s also available in blue or pink to suit your tastes. We also really like that extra roller heads are available – one for extra tough calluses and one to smooth and finish feet for a spa-like pedicure effect. Please note these are available, but not included with the base product. The Amopé is definitely of high quality so it’s built to last. For a price point of $30, it’s an excellent investment. But don’t assume this is for pedicures and dainty feet only; it can also be used to remove the toughest, roughest calluses for both men and women alike. Goodbye nail salons when it comes to making your feet soft again and say goodbye to those long line, just enjoy the comfort at your own home or anywhere you decide to take your travel friendly lightweight device. Be in control of how your feet look and feel. The results are finally in your hands. The Mollify Rechargeable Callus Remover is another solid option for people looking for a reliable electric callus remover. It is available for the moderate price of $25. 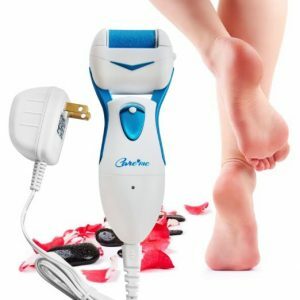 This callus remover works on the same premise as the Amopé but also includes a replacement spinning roller and cleaning brush – both very nice additions to an already good deal. We also LOVE that this file can be used wet or dry. It’s quite simple in design and easy to use, and is somewhat smaller than the Amopé so this will appeal to some users. The recharge feature is also appealing, but with a big caveat! Our biggest complaint bout this product is that while it is rechargeable, in order to achieve a full charge, the unit must be plugged in for 6 hours. And then the charge only lasts 30 minutes. So make sure you plan ahead! Want to get rid of those nasty calluses, dry spots, and cracks…the easy way? Ready to be barefoot or pull out your favorite footwear without feeling self-conscious? Forget about imitators or overpriced brands. If you’re ready for a change…our high quality, lightweight callus remover is literally made for you –Nothing Compares. The Care me Electronic Callus Remover is a great choice for people who want to keep on top of calluses but don’t want to make a bigger investment. It performs its primary purpose well and is also rechargeable so if folks don’t like to keep batteries on hand, this is another option to consider. What we don’t like is that the internal battery takes 10 hours to charge and the charge only lasts 40 minutes. Most people won’t (and shouldn’t) use it for 40 minutes a day, but it does mean that you have to plan ahead for when you do want to use it so it’s charged in advance. We also don’t particularly like that when the internal batteries die, they can’t be replaced so it means the unit is garbage. Consider this in contrast to the Amopé, which could technically last you lifetime, and we think you might reconsider purchasing the Care me. An electric callus remover is ideal for anybody who is interested in removing calluses or rough spots from their feet or hands in the comfort of their own home. One can get their feet filed and calluses treated during a pedicure but many people would like the option of maintaining their smooth feet and/or treating calluses in between appointments. And of course, some people don’t visit spas for a variety of reasons. An electric callus remover offers many benefits. First, it can help to relieve the pain, discomfort and unsightly appearance of calluses. Second, it can provide a spa-like finish to your feet from the comfort of your home. Third, pedicure areas at spas are often a breeding ground for bacteria. We’ve heard many a horror story of people contracting ailments during manicures and/or pedicure appointments. Being able to do your own pedicures at home prevents this from happening. 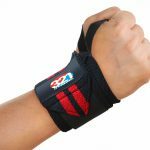 Consider whether it is designed in such a way to effectively file and remove calluses and rough spots. Does it do what it says it will do? Consider whether you want a rechargeable unit or a battery-powered unit. Each alternative offers its own benefits and conveniences. Some units come with extra rollers, cleaning brushes, and/or protective covers. We consider the Amopé Pedi Perfect Foot File to be the best overall callus remover. 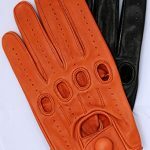 It includes the best features of the products we reviewed and it is of superb quality. As a result, the competition doesn’t quite measure up. It comes with a heftier price tag at around the $30 mark but even so, this is quite affordable. We definitely think it’s worth the investment. We don’t think you’ll be disappointed. This Amopé Pedi Perfect Foot File has many strengths. The spinning file is longer and thinner than some of the other products reviewed. We found that this shape of file makes it easier to work around the surface area of the foot. The handle is also ergonomically designed so it’s comfortable to hold and use. It has a soft touch feel to it which makes the grip feel pleasant. It is much more comfortable to hold than a hard plastic handle. In addition, the roller itself is easy to remove for cleaning. While this unit comes equipped with a coarse head roller, two other roller types are available from the manufacturer should consumers need or want a variety. They make an “extra coarse” roller or a “soft touch” roller. The former is for filing away extra hard skin and the latter is for buffing skin to a smooth finish. We love that this latter option is available as a finishing tool for the perfect home pedicure. The Amopé also comes with a cover for storage. You don’t need to worry about any residual dead skin contaminating your storage area thanks to the cover. The unit is battery operated using two regular AA batteries. Some might not like this but with good batteries, the unit can be used for a long time before replacing them is necessary. We think regular batteries are more convenient than rechargeable mechanisms. This way you can use your Amopé anytime without having to remember to charge it. It’s also less cumbersome to travel with because you don’t have to pack the cord. PLUS the Amopé Foot File comes equipped with batteries which is a nice bonus. Ultimately, none of these strengths matter if the product doesn’t work. We can assure you that it works and it works well. You will be left with silky soft feet that come close to a salon feel. It’s also important to note that its usage doesn’t have to be restricted to feet. It can be used on hand calluses as well. The main complaint we came across from some users was that it was underpowered. This may be the case for people with heavily callused feet who are working on very thick spots hoping for instant results. It’s important to note that no callus remover is going to be a quick fix. It will be necessary for some people to work on certain spots over a period of days. It’s most likely that the Amopé will make a difference if used consistently and properly. Further it claims to have diamond crystals in its roller head. We don’t care if the head is made of diamonds or not as long as it works (and it does!) so we aren’t sure if this is strength at all. In fact, if it’s the diamonds driving up the price, the manufacturer might want to consider a less expensive alternative. Performance. It does what it says it will do. May be slightly underpowered for heavily callused feet. We consider the Mollify Rechargeable Callus Remover to be the best bet for the money. It does well on many of the key features. Further, it is a little more reasonably priced at the $25 mark and is good investment for the buck. We don’t love all of its features as much as we do the Amopé but it still performs its primary duty well. The Mollify Rechargeable Callus Remover is fairly easy to use and works well to smooth away rough calluses. It’s smaller in design than the Amopé which some users will appreciate. It also has a shorter roller so this might appeal to some consumers as well. We really like that the Mollify is water resistant so it can be used in the tub or shower. The roller is designed to be used on wet or dry feet. This means the process of filing can become a part of your daily cleansing routine. We appreciate the convenience of this. Another great strength is that the Mollify comes with an extra roller head and a cleaning tool. Given that you will no doubt wear out the original roller, an extra one is a great perk. Plus, because a file like this can get gunked up with foot dust, the cleaning tool is a must-have feature from our perspective for maintenance and sanitary purposes. Like the Amopé, the roller can be removed for cleaning. We also like that the roller will stop spinning if too much pressure is applied. Believe it or not, skin can be filed raw so this is an important safety feature. Further, some might like that the unit is rechargeable so there is no need to spend extra money on batteries or worry about them running out. That said, this feature might actually be a weakness as well. Keep reading to see why. While we like this unit, it does require that you plan ahead. In order to achieve a full charge, the unit must be plugged in for 6 hours. Yep – 6 hours! Wow. That’s a long time. It definitely doesn’t enable you to do any spur of the moment filing. A further drawback is that the charge only lasts 30 minutes. While we seriously doubt anybody is going to file for 30 minutes a day, this means you need to recharge it multiple times a week depending on how frequently you are using it. And if you and your spouse share the unit (with different heads we hope) then it might require daily charging. We definitely aren’t in love with this aspect of the product. This is why we appreciate that the Amopé is battery-powered. Requires 6 hours to recharge; charge lasts only 30 minutes. The Care me Electronic Callus Remover is our pick for best callus remover on a budget. Available at the $20 mark, it gives those on a tighter budget an opportunity to get into this category. It performs similarly to the other products we reviewed but may suffer from some quality problems so it doesn’t quite measure up in that regard. Further, we don’t like how long it takes to charge especially given this is one of its selling features. Like the other products reviewed, the Care me is definitely a step of from pumice stones or manual callus removers. It won’t provide an overnight fix for heavily callused feet but absolutely works well to remove calluses and rough spots. We like its handle shape better than the Mollify. Its ergonomic design makes it fairly comfortable to hold. Further, like the competition, the roller on this unit can be removed for cleaning. The Care me Callus Remover is also a rechargeable unit so if this is your preference as opposed to batteries, this represents another option for you. Ultimately, performance is going to make or break a product like this and consumers who are happy with the Care me are really happy with it. It represents a great way to have much smoother feet without visiting a spa regularly. The Mollify has several weaknesses compared to its counterparts. First, it requires a 10-hour charge to bring it to full power and then it only works for approximately 40 minutes. This means that it needs to be charged most of the time when not in use or at least overnight. Another problem with it is that once it loses its charge permanently, the unit is garbage. There is no way to replace the internal battery. Albeit it promises 1,000 charges, consumers need to know that this investment will not last a lifetime. We should note that it does come with a 6-month warranty, so you will be protected for that period of time. Also noteworthy is that it doesn’t come with any extras – no extra roller, cleaning brush or cover. When you consider this, the price doesn’t seem as “budget”. If you step up to the Mollify which comes with an extra roller, you’ve probably actually saved yourself some money. Lastly, some consumers have encountered quality problems with this product such that it ceases to charge fully or the motor loses some power over time. Nothing remarkable, but good overall. Requires 10 hours to recharge; when internal battery dies, unit is garbage. It’s important to point out that most of these units are designed such that if too much pressure is applied when pressing the roller to your foot, the roller will stop. This is a safety feature so that skin is not damaged or rubbed raw during use. Believe it or not, this is a real risk. Some of the product reviews we consulted suggested that this was a product flaw, but this is not the case. 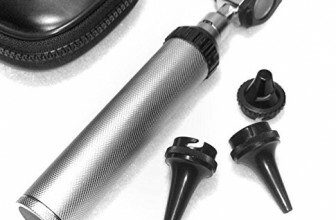 It’s part of the smart design of these electric callus removers. Further, it’s important to follow instructions when using an electric callus remover. They work with a lot of friction so it’s not advisable to hold the roller in one spot for longer than 5 seconds or so. Again this is a safety feature. Even though calluses are characterized by a thick outer coating, once soft underlying layers of skin are revealed, the roller can cause damage. It’s very much like rubbing sandpaper on your skin. The effect can be painful if done too aggressively so please use caution. Lastly we want to point out that callus removers aren’t miracle workers. Many people will notice a different after the first application but for others it will take several days or weeks. Be patient! Depending on the state of your feet, it may take you a little longer to notice a real difference but we don’t doubt that over time you will. Ultimately electric callus removers are brilliant inventions. They enable the consumer to perform a task themselves that was typically only offered by estheticians or podiatrists. Now for an affordable price point, people can use them at home. This means you can treat your calluses at home to make your feet more comfortable, and also to put the finishing touches on your at-home pedicure. Even though there is a small upfront investment involved, we don’t doubt you’ll save money over time by getting fewer professional pedicures. Plus having more comfortable feet is definitely worth the investment.